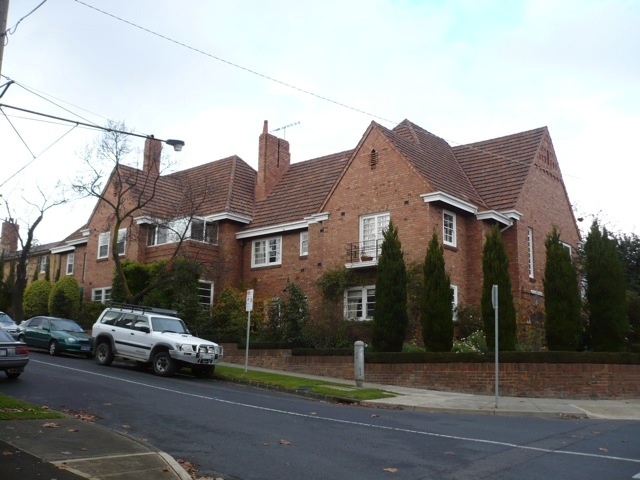 Grange Lynne, 6 Grange Road, Toorak designed by Edward F. Billson and constructed in 1933, is significant. The significant attributes are the Old English Revival with Moderne influence style form, materials and detailing of the flats as designed by Billson, which is complemented by the battered brick retaining fence/wall along the main front and side boundaries, and the original garages at the rear, at least one of which retains its original door with square windows with horizontal glazing bars. The high degree of external intactness and the lack of fencing along the two frontages contributes to the significance of the place. 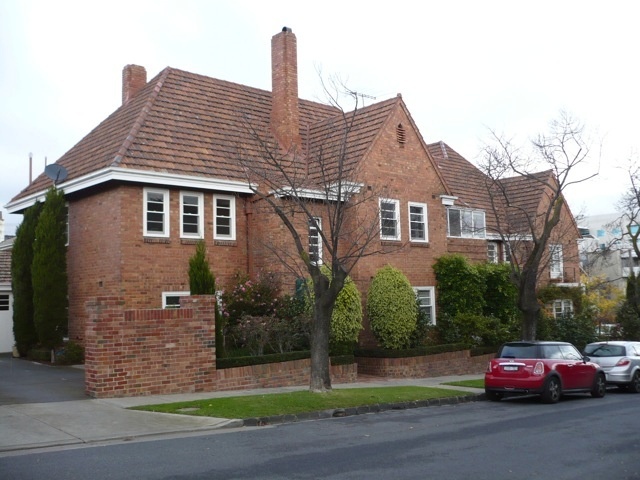 Grange Lynne is of local architectural significance to the City of Stonnington. 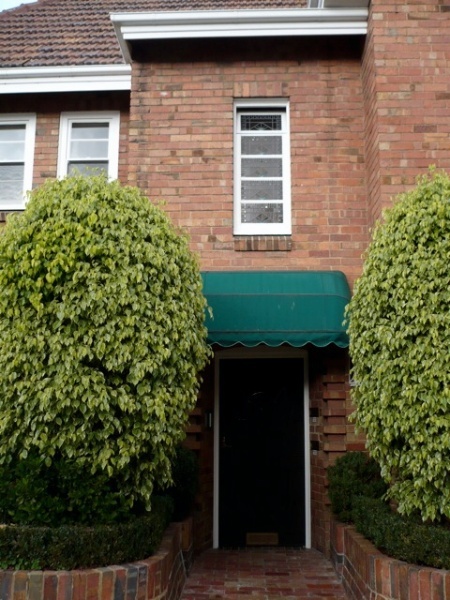 'Grange Lynne', 6 Grange Road, Toorak, is a two-storey block of flats at the corner of Grange Road and Lascelles Avenue. It sits on a raised site, behind a modest garden, which makes it more visually prominent. The site is bounded by a low clinker brick fence with a battered profile and curves to the entrances. The fence steps up along the Lascelles Avenue frontage, along with the slope in the road. The building is L-shaped and has a high hip roof with projecting gables, clad in Marseille tiles. 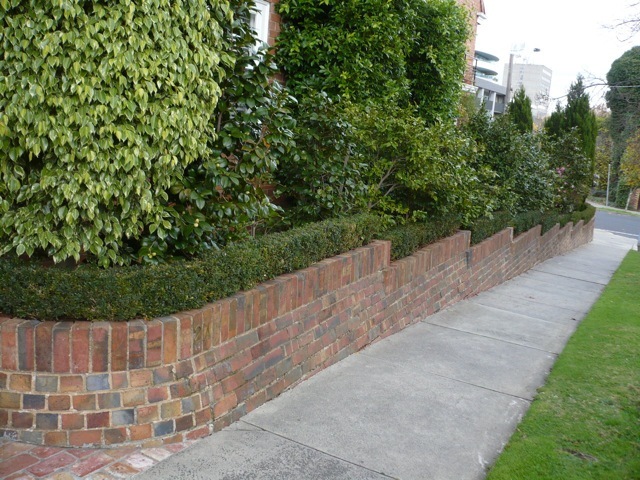 The walls are constructed of apricot brick (an early use of this material), which has extensive and intricate details. The Grange Road facade is dominated by a wide gable with flush eaves. The apex is decorated with glazed half bricks set in row of intricate Romanesque arches. Other brickwork details add to the Medieval character, including relieving arches, diagonal bricks along the gable edges, and 'accidental' features such as bricks arranged in an irregular X, and pairs of half-sized bricks replacing a standard brick. Wall lanterns flanking the entry have a stylised Gothic tracery pattern. These features are combined with Moderne features such as abstracted brick quoins around the doorway, the name of the building in metal lettering, horizontal muntins to the sash windows, fixed stairwell windows and front door, and the highly intricate geometric leadlights to the front door and stairwell window above. 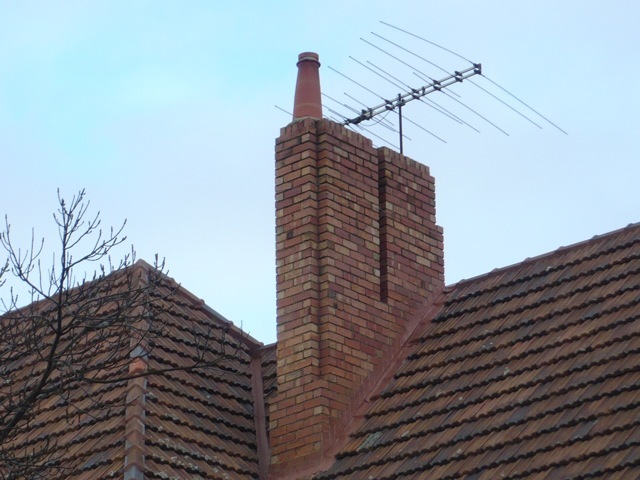 The tall chimneys have streamlined setbacks to their sides. The Lascelles Avenue elevation continues these two threads, but the Moderne elements dominate. 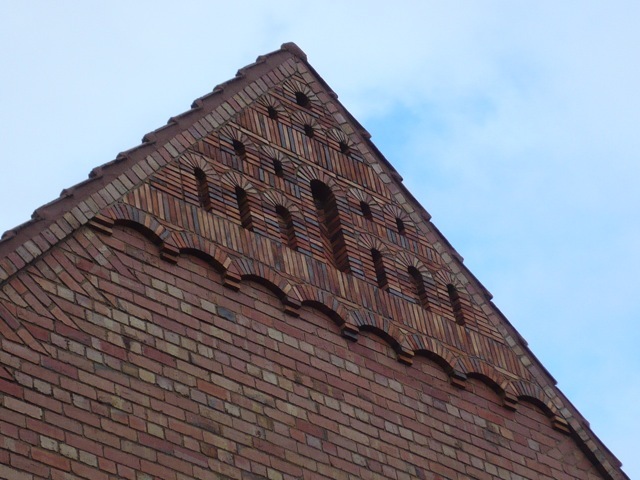 There are two projecting gables with diagonal brickwork to the edges. Instead of the intricate arches at the apex, there is a ventilation grille created by half-bricks. The west gable has a curved, cantilevered balcony floor with a horizontal pipe rail balustrade above. Beside the east gable is a rectangular balcony with a balustrade of horizontal bands of bricks. There is a second entry near the back of this elevation, which is smaller in scale but has the same abstracted quoins and geometric leadlight above it. 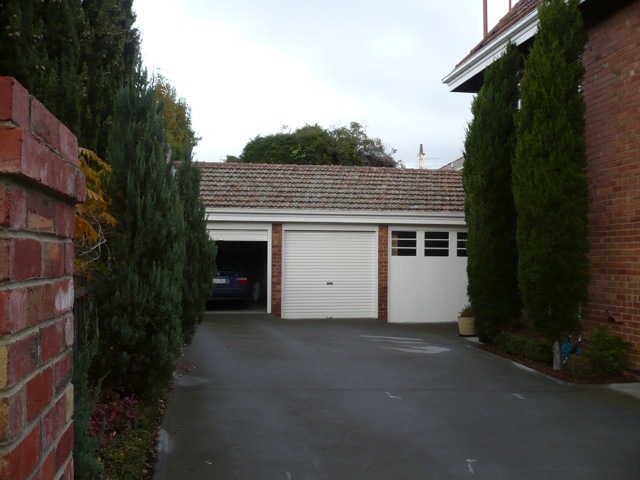 A driveway at the east end of the site provides access to the block of garages. 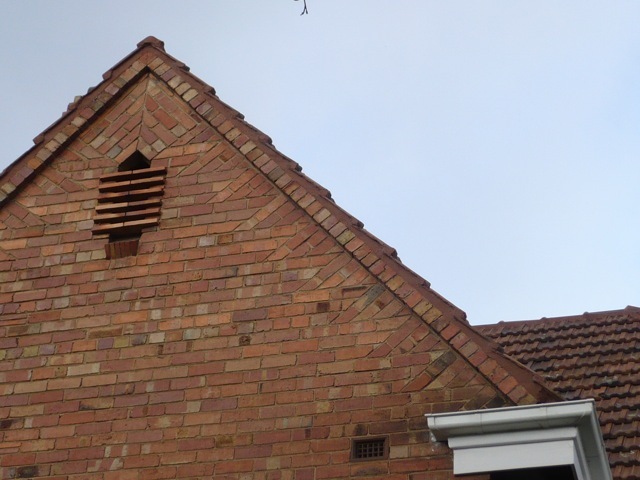 They have clinker brick walls and a hipped, tiled roof. One garage retains its original folding timber doors with horizontals windows at the top. The building is highly intact. Alterations include the replacement of two or more garage doors, and the enclosure of the balcony with the brick balustrade. The windows and other timberwork to the eaves etc., now painted white, were originally painted a 'soft grey green' according to a 1933 newspaper article (please refer to History).